I am trying to ID a Red Yak55 or similar. I've had a message from my Air Britain colleague, Nigel Kemp who says this is/was almost certainly HA-YAO Su 26 now G-SUUK. 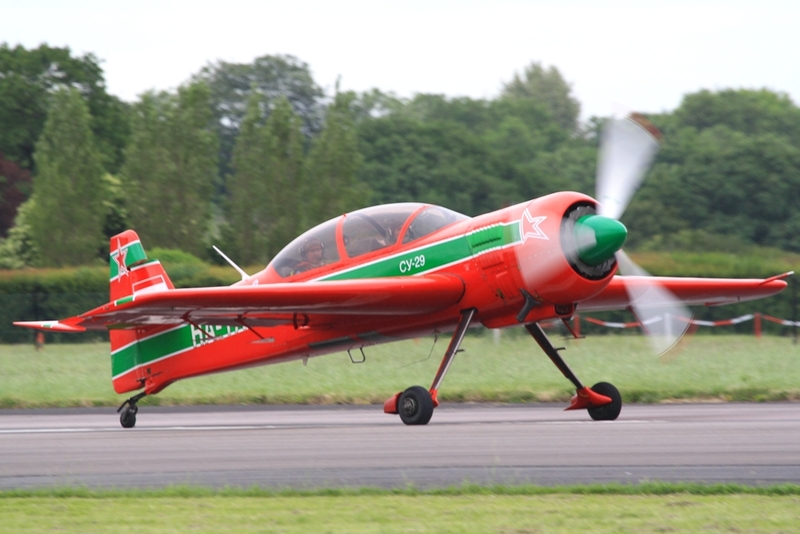 Here's a pic of it at the Air Britain fly in back in June 2012 at North Weald. Su-29 registered as G-SUUK 10/01/2018 and based at Southend. If this was your machine then it was HA reg at the time.